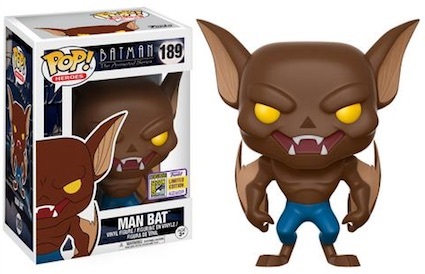 Product DetailsHoly Bat Symbols! 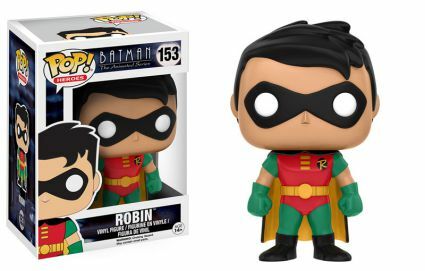 Funko Pop Batman Animated Series adds several familiar figures to the Pop! 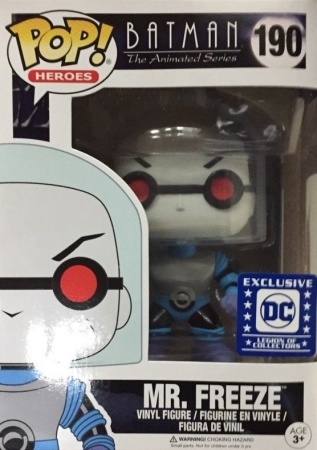 Heroes line. 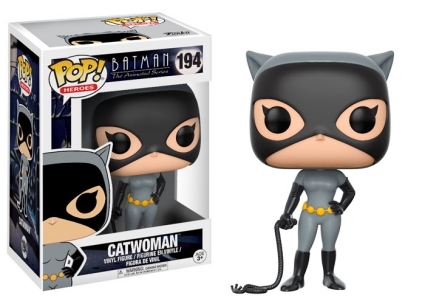 The set covers the acclaimed '90s television show Batman: The Animated Series. 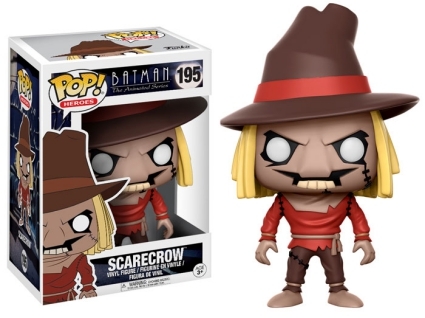 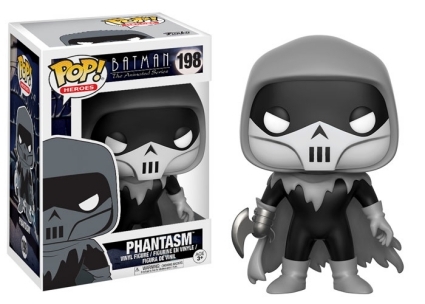 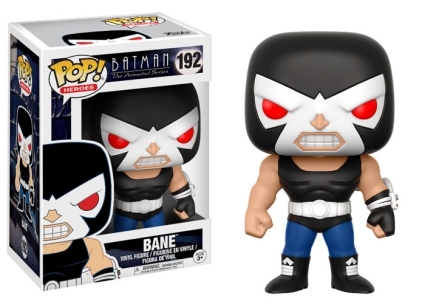 Funko Pop Batman Animated Series definitely reminds us of that, too. 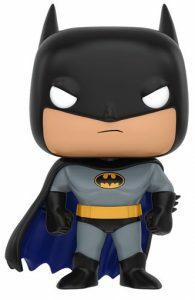 The Caped Crusader is shown with his notable yellow and black look, complete with cowl, while Robin is featured in his bright red suit and very green tights. 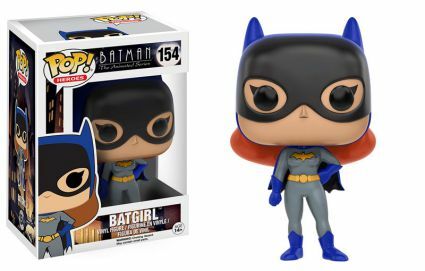 Sassy as always, Batgirl is wearing her signature blue boots and is posed with her hand on her hip. 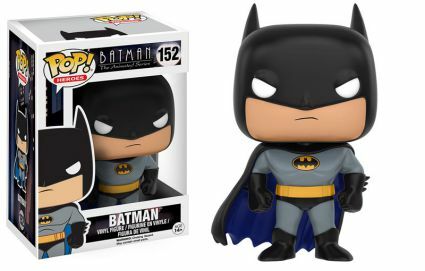 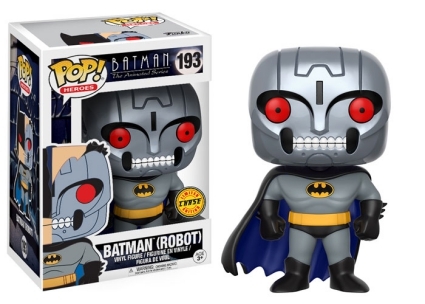 Shop for Batman: TAS Pop figures on Amazon. 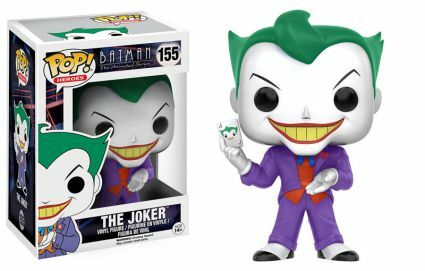 Covering the most notorious DC villain, Funko Pop Batman Animated Series gives The Joker a purple suit, green hair, and a devious grin while holding none other than his own Joker card. 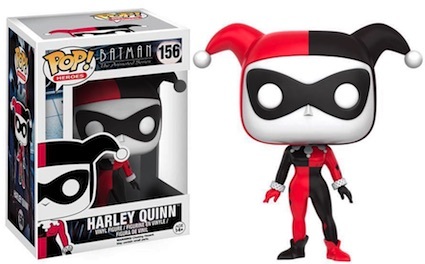 Of particular relevance to many fans and collectors, Batman: The Animated Series introduced The Joker's assistant Harley Quinn, who also appears in the set. 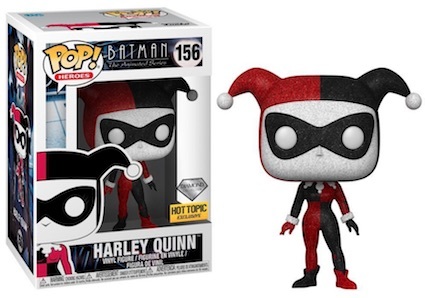 She is shown wearing her black and red court jester costume. 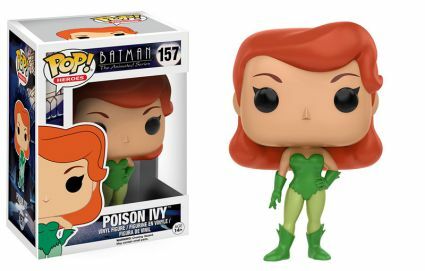 Lastly, the lovely Poison Ivy is disguised in her green leaf-like bodysuit and gloves. 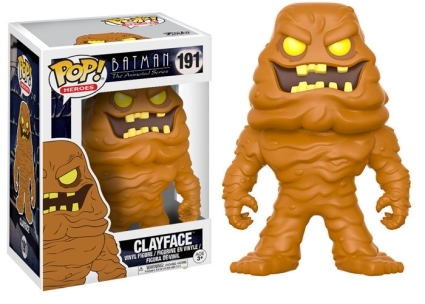 Funko Pop Batman Animated Series Wave 2 offers figures for Clayface, Bane, Catwoman, Scarecrow and Phantasm. 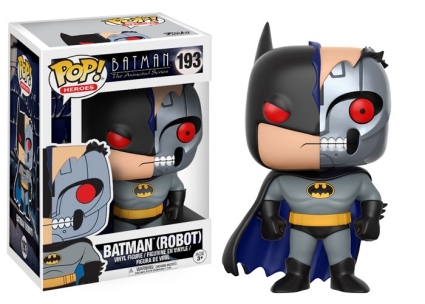 Also included is a robot version of Batman along with an unmasked chase variant, averaging 1:6 boxes. 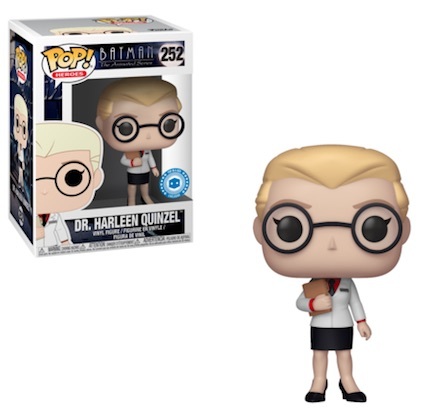 Let us know in the comments if you see any other figures. 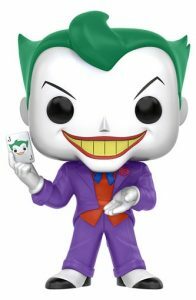 Click on the listings to shop for figures on Amazon or eBay.